How can we provide rich digital learning environments to ensure that all students have access to the pathways they need for success? Over the past 2 years, I have been incredibly fortunate to be learning with an innovative group of eLearning educators in Algoma District School Board. Last spring, the group shared their story with Ontario at On The Rise K-12. David Truss was a keynote speaker at the event, and as a leader in the Inquiry Hub, we shared many ideas around how to engage all students in rich, authentic, relevant learning opportunities. Recently David connected me with his colleague, Will Eaton, and I offered to share the work of the #elADSB educators to give him some idea of how Ontario is working to use innovative strategies to make online learning an exceptional opportunity for secondary students. 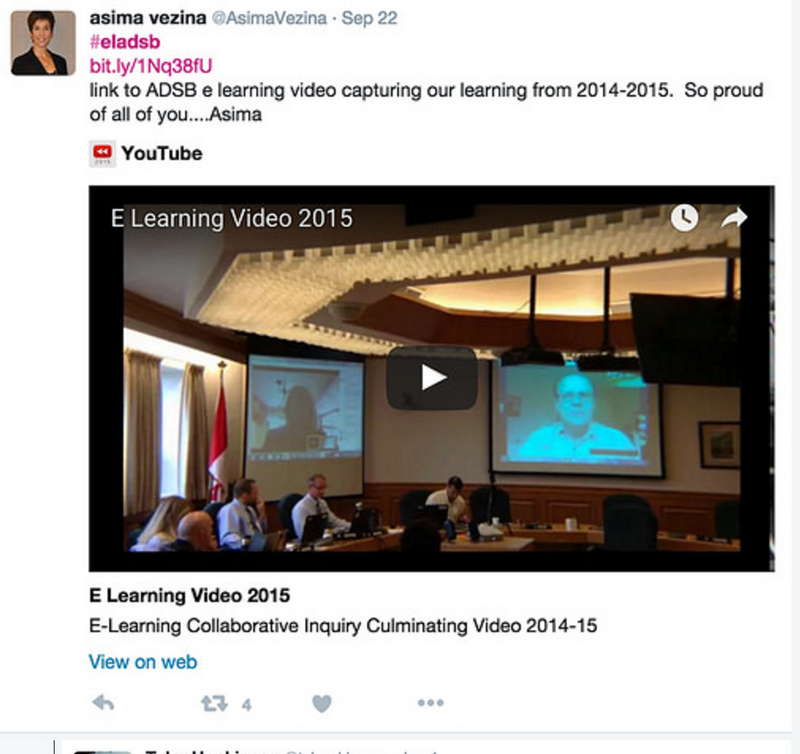 In Algoma District School Board, there is a 3-year commitment to eLearning teachers to provide opportunity and the supports needed to work on a collaborative inquiry around best practices in eLearning. During the first year, over 20 teachers worked together to think about how to move from text-based online courses, to online instruction that put relationships ahead of content, and utilized a strong understanding of student assessment to allow for choice in how students demonstrated evidence of meeting course expectations. The Theory of Action for Year 1 was: “If we as e-learning teachers develop rich learning tasks for/with our students and IF our courses incorporate effective on-line collaboration and communication strategies (s-s, s-t, t-s, s-w,t-w) THEN students will become more actively engaged RESULTING IN a positive experience and a stronger sense of classroom community”. 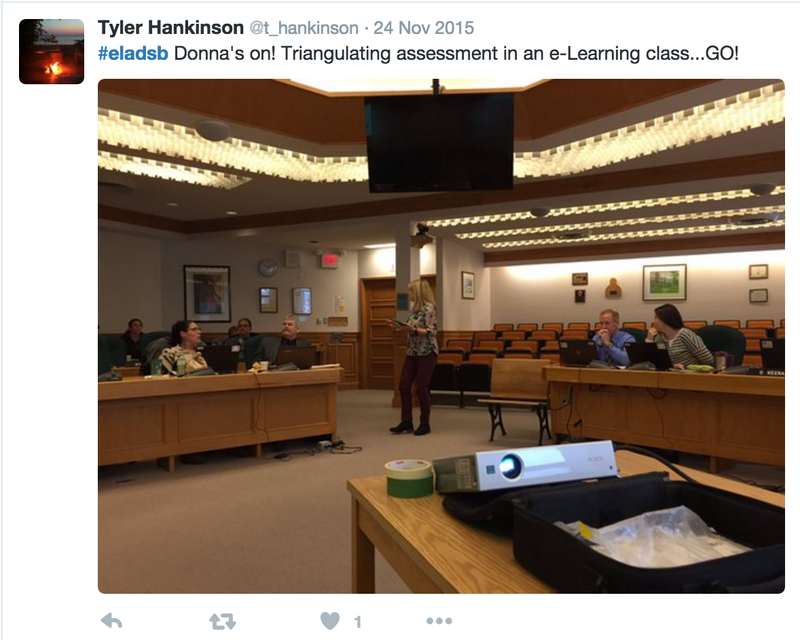 Several of the eLearning teachers in Algoma District School Board are now blogging about their work, and it is worth learning about their personal journeys. We shared some of our ideas for growth in this video: What’s Your Next? 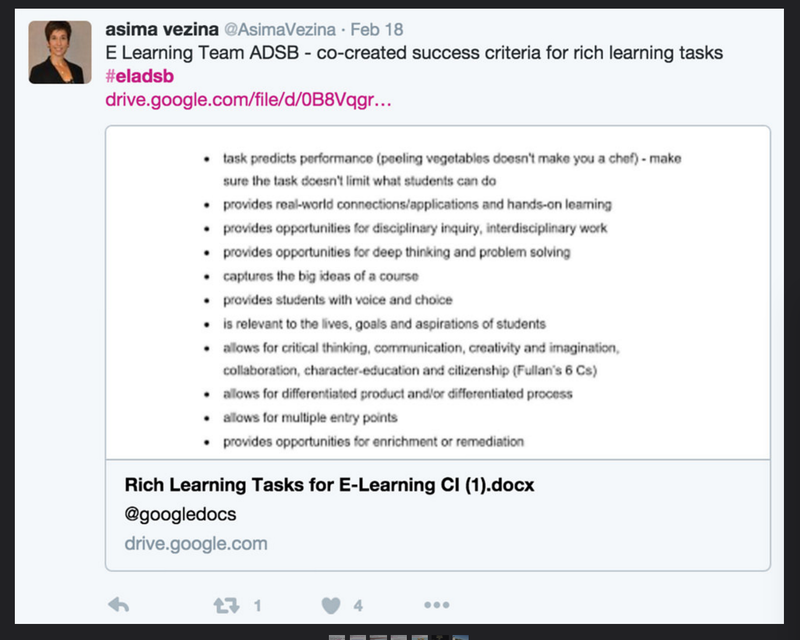 Be sure to share your ideas and resources about online learning using the #eladsb hashtag on Twitter.